Here at Rapid Service, LLC, our plumbers, electricians, heating contractors and remodeling contractors are dedicated to a few basic principles: - To provide the highest quality services possible at a fair price - To conduct our business, and ourselves as individuals, with honor and integrity - To respect our customers, their home or business, their needs and their preferences By adhering to these three tenets, Rapid Service has grown from a small local business to a full service company with satisfied customers across Eastern Connecticut. Thank you for thinking of Rapid Service as you research the options available to you. Interior Designer/Project Manager for Lowes. 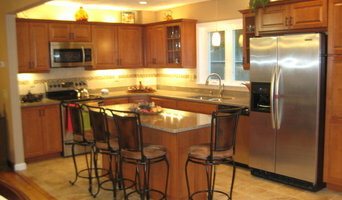 Specializing in kitchen and bath design and renovation. WoodCraft LLC is a custom woodwork shop servicing all of New England. 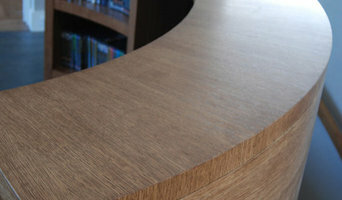 We furnish and install architectural millwork in both commercial and residential projects. Please E-Mail Lukasz@WoodCraftGroup.com for an estimate. Custom shower glass sales and installation. Kitchens and bathrooms are the most renovated rooms in any Narragansett Pier home. Storage is a top concern in these rooms, so hiring Narragansett Pier, RI professionals to create and install custom cabinets in your home can be key to expanding your spaces and controlling clutter. Use the Houzz Professionals listings to find Narragansett Pier, RI kitchen and bath accessory vendors. Don’t rule out asking a kitchen manufacturer’s design team for help, too. Skills often can be overlapped to save you time and money! Here are some related professionals and vendors to complement the work of kitchen & bath fixtures: Kitchen & Bath Designers, Kitchen & Bath Remodelers, Interior Designers & Decorators, Cabinets & Cabinetry. Find kitchen and bath fixtures and accessories, plus installation experts, on Houzz. Check out Rhode Island kitchen products and installers, and bath plumbing products and installers, on Houzz. You can also look through project photos provided by Narragansett Pier, RI renovators, retailers and designers.